The people who were slaughtered in Egypt are your grandparents, your mom and dad, your brother and sisters, your daughters and sons ! If they killed your brother, Is there any sense of distance that separates us? Is the distance cuts the brotherhood off between us?O a big nation, if they are your brother, so one life should be very valuable. No need to imagine your 6000 families are slaughtered. Imagine your mother – father are stabbed. Your children crushed. Just one ! Yaa Rabb, how this nation has lost his heart. Don’t know where to seek it. Brothers died, yet we still argue here. When the bullets no longer count how many men, women, parents, children, and disabled people were penetrated, we argue here. They were baked by the sun everyday, just waiting his leeader back. Here, you said ‘He is despotic leader’. Is he a despotic leader? The leader who defended by his people, even they are ready to face the bullets with armed the Qu’ran. Is he a thaghut? The leader who is loved by his ummah that always busy with Tilawaatil Qur’an , Teraweeh, and Qiyamul Lail in ther daily life? Don’t you see girls in Hijaab, lined up to face the bullets with their hands hold Mushaf? And you, who are really love debate, is there Mushaf on your hands when tough times threatened? Is there any brother who always argue with you? If he is killed, would you still debate? They died with mushaf in their hands and the Qur’an in their chest. 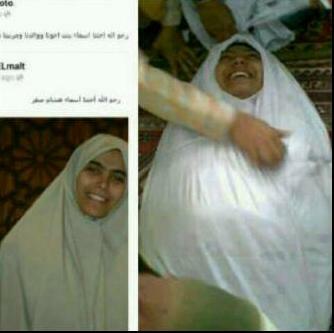 You smile in the dunyaa, but they smiled when their death. Your daughter worry about ran out of make up, but their daughters worry if the bullets distract their attention from Qur’an. Your sons wander, didnt come home, but their sons had preceded die. In front of all those things, do you still think you are better than them? Yaa Rabb, gives our brothers a clear sight. There are no perfect brother, but we should measure ourselves clever. You who hate Morsi, were making out with Mansur, Elbaradei, and Al-Sisi. You who called Morsi the Pharaoh, what did that make his supportes ready to die? Magic? You who slightly called Kafeer, are they Kafeer? When they died with Qur’an in their chest..
You who feel the most clever, don’t you get it what happens right now? You who always talk about Jihad, don’t you get it what is the wisdom of all these sadness? Indeed, if the option is just lift the arms, then everything will be simpler. Al-ikhwan had been deterring Israel, Do you think they are not able to resist Egyptian army? Peace way is the option that have been taken by Al-Ikhwan since long time ago, Read the history. For all the muslim, the peace way has been taken by Al-ikhwan though full of suffers. Egypt conflict is not the same as Afghanistan resists the Uni Soviet. We’re facing with the muslim as well. Do you know why Al-Ikhwan becomes this big? It is because their peace way. Al-ikhwan were being killed in 6 decades. That is not new thing for them. Even though, Secular media is used to lie, but the people see the truth. Egyptian people clearly see Al-Ikhwan tyrannized. That’s why their number increased. And now, dozen were slaughtered. How many millions pair of eyes watched? How many came to join? The time will prove it! Out of Egypt, how many people watched? The time will prove it! The truth is not counted by units in life, because the truth won’t die along with the dispossession of life. The human life will go back to his Owner, but the truth will live and stand-up in the earth. Hasan Al banna killed, Americans partying. But thats party that birth of Sayyid Quthb. Sayyid Quthb was hanged, the west partying again. But the sight of world can not be separated from him. Sayyid Quthb’s life lost, but his name appears in opus of Hamka and Natsir in Indonesia. Don’t you think? Is this sacrifice won’t be in vain?ah, i see you neglected to read Manhaj Haraki book. Don’t you remember that in the first of Rasulullah’s dakwah, don’t think for Jihad, just debating the enemy is prohibited? Have you forgotten that shahaabah of Rasool Allah had been tortured cruelly, but the permission for Jihad has not been lowered yet. Don’t you remember that Rasulullah and his follower were boycotted, until the public simpathy to them. History repeats itself, though not with the same measure of time. Aren’t you able to read it? Hi the sons of devil, what do you think if this time all over the world are born new Sayyid Quthb? Hai despicable people, Don’t you know that the wind just brings the flower seeds farther away, and later it will bloom all? Hi, secular people, in one of the egde of the world right now, maybe born new Musthafa As-Siba’i. 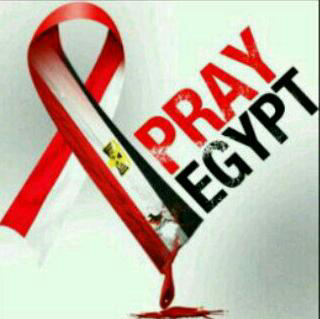 Hi the traitor Coptic, in the egde of your city. Maybe right now born new Umar At-Tilmisani. Hi Shia of blood-sucking, you don’t know which womb will bear new Yusuf Thal’at. Hi zionist stooges, don’t ever guess there will be no new Abdullah ‘Azzam. Hi the world, who dare to guarantee that there will be no greater than Hasan Al-Banna? Allah had drowned Pharao, Do you think Allah is not able to do that again? O the best sons and daugthers of Islam, awaken now!